Sophisticated yet resilient. Refined yet powerful. Towering above gravel grounds and grime, has never been easy, with the Fortuner’s body alliance gives an elevated viewpoint by creating a seamless flow. 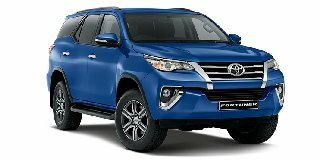 From the 18-inch alloy* wheels to the new grille, the Fortuner delivers the dual nature of today’s modern lifestyle while vehicle is still known for its distinctive off-road superiority, quality, durability and reliability – its incomparable new style now also gives you the freedom to be seen and admired while out on the town.